high quality makes it a winner in the classroom. How Do I Make A Book? 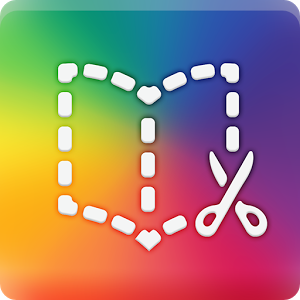 First, open up the App and click on the plus symbol at the foot of the page to make a new book (you can choose a blank one or otherwise opt for a ready-made template). Next add an item. 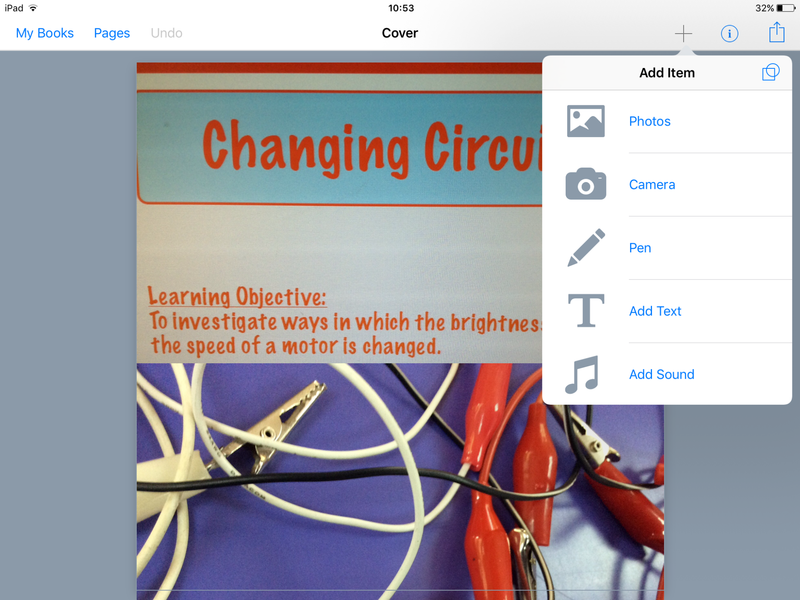 Choose a pre-saved photo, a live camera shot, a pen, text or a sound. 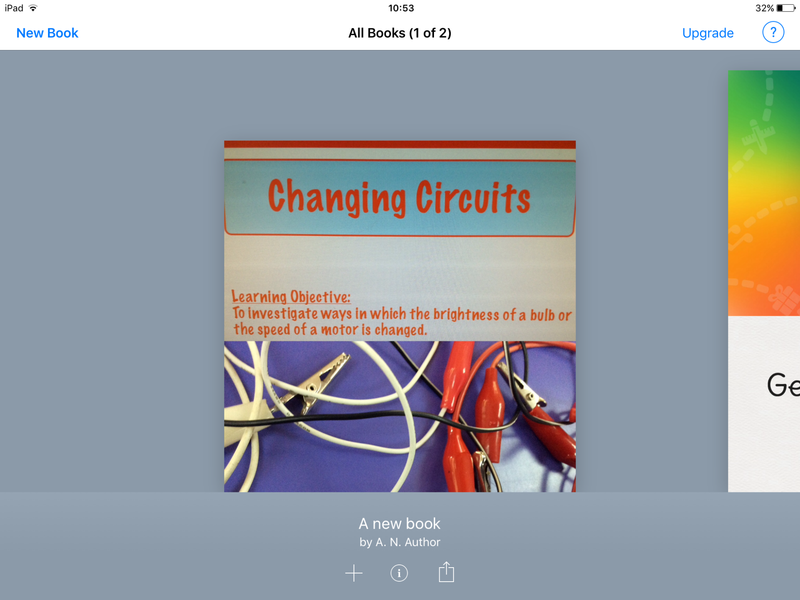 I asked my students to take pictures during their experiment, so they could add them easily when doing the write-up using the book creator. When you are happy with how your page looks, simply click the ‘next page’ button to go to the following one. The App really is easy to use. The pictures and text can be moved and manipulated to where you want them. There are plenty of options to change colours and borders too. 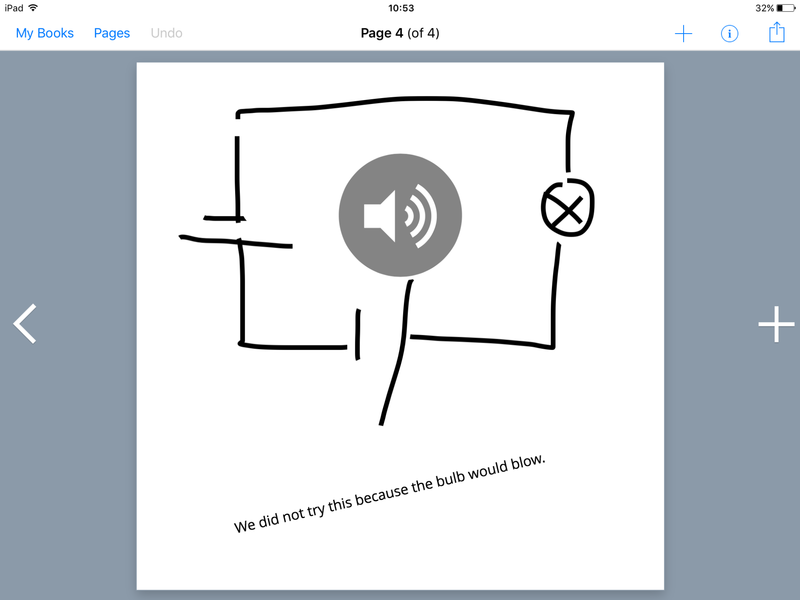 For the Science write-up, my students added photos and explanations, drew diagrams using the pen tool then added sound to talk through what happened in the experiment. This speech element is excellent; especially when the students are explaining their test conclusion. When the book is complete, ask your students to share their work with you. They can email you or add it to a class management tool (I use Google Classroom). 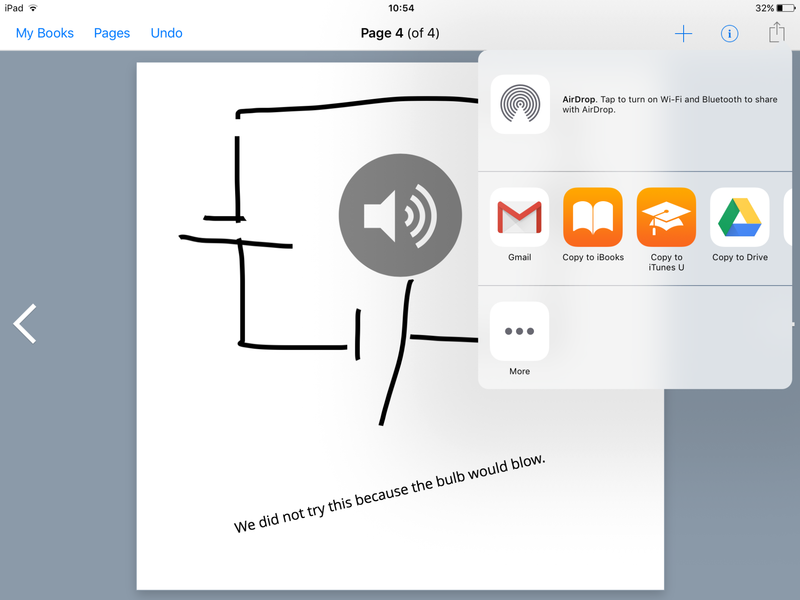 How else could Book Creator be used? Writing fiction or non-fiction in English class. The students could create their own vocabulary book. How might you use it with your class? Let me know by commenting below. Thanks so much for a great tutorial. One problem I’m facing in my classroom is that we cannot download apps. It is a huge process for each iPad. Do you use your won iPads ? We have a ‘Bring Your Own Device’ scheme. The students bring in an ipad and we tell them the week before which apps to download. I like it! Great idea. How many students do you have that are able to bring their own iPad?